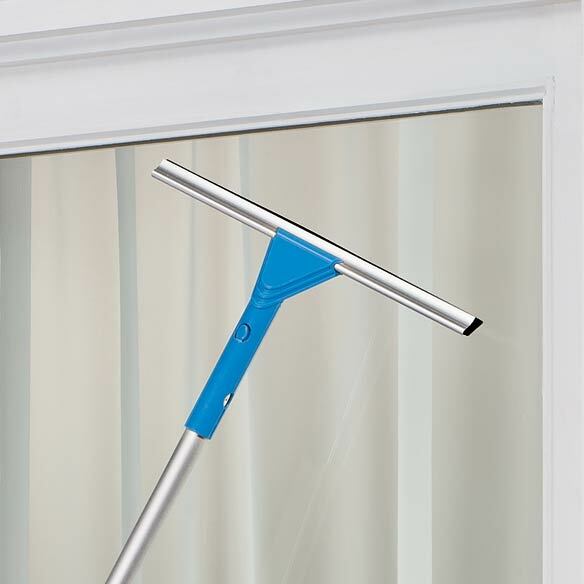 Lightweight, telescoping squeegee set features 2 attachments for safe, easy cleaning. 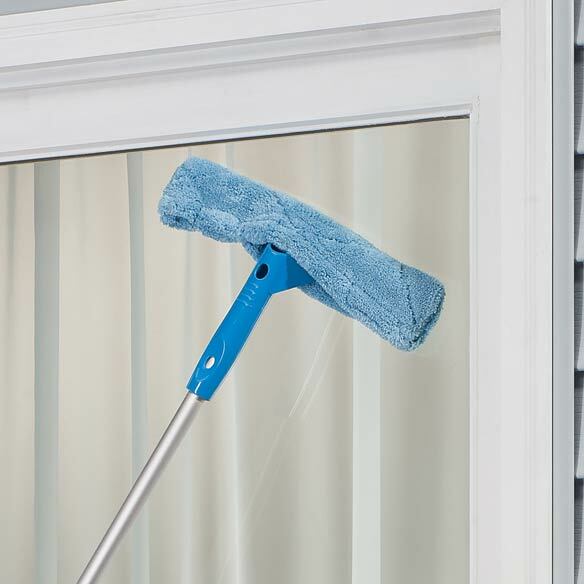 Microfiber head scrubs gently without scratching and removes for washing; 12" rubber squeegee dries streak-free in seconds. Use detachable ends separately or together on 27"-48" L aluminum pole with hanging hook. It will help clean our windows. I have a large patio door. It's very hard to bend down and clean the whole door very well. I can't wait ti this squeege set arrives. Now, I'm actually looking forward to cleaning that patio door. need something to clean a full-sized mirror. Spring cleaning and cleaning the windows. I needed Something with a telescoping handle for some of my windows. Found nothing in any stores. Very helpful in lots of work dutys. I needed a way to clean the windows on the outside. 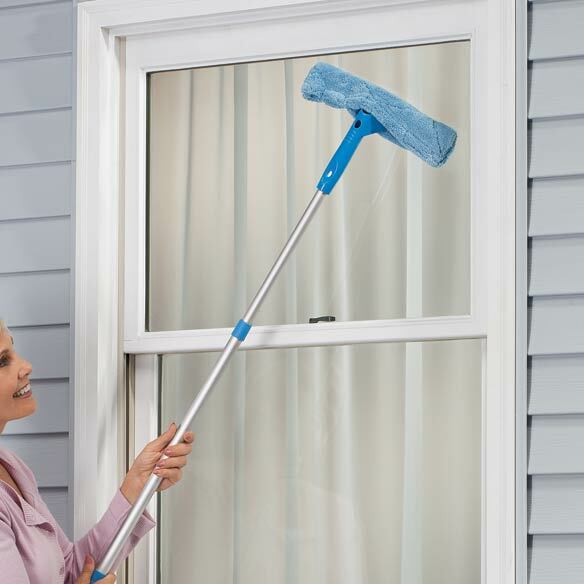 I have a sunroom with slanted windows, this will make it easier to clean them. To help clean the inside of my vehicle windows. can't do ladder anymore to reach outside of windows. BEST ANSWER: To be honest I Wasent impressed with this squeggie when I got it. The. Squeggie itself is skinny and flimsey. I used it once but ended up redoing window with paper towels and Windex.I suppose you could try on mirrors but I have a shorter one I bought somewhere else and it is very substantial . squiggle is fatter and not flimsey. What type of cleaner do you use? BEST ANSWER: Thank you for your question. You can use any kind of bathroom cleaner or warm water and soap. We hope this information will be of help to you.